Sometimes Twitter can be very useful. I was having a chat with Borderbus Chief Engineer Dave Marshall last night, when he casually mentioned that they had purchased a 5th ex Stagecoach London Scania Omni City Decker. I remarked that he'd kept that quiet, and Dave revealed it came as a bolt out the blue to them too, and was totally unexpected. 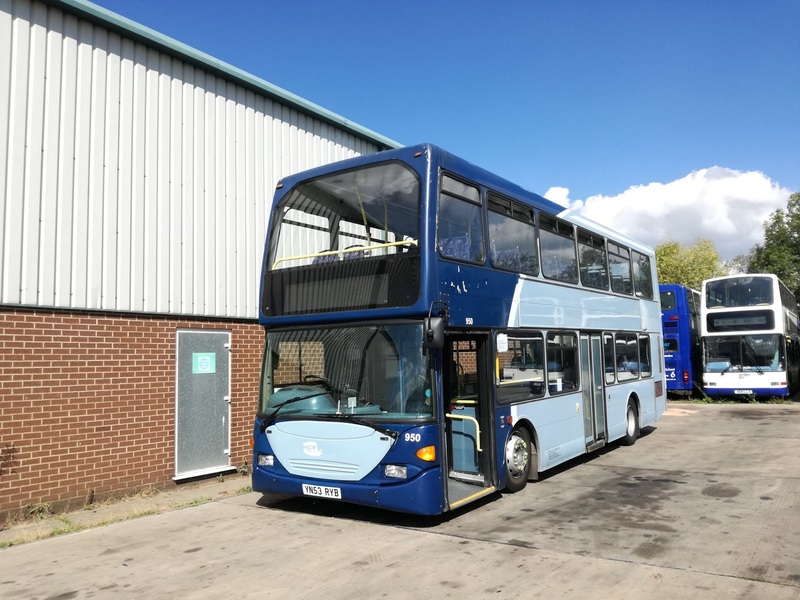 Not only that but Borderbus have bought back the last remaining B7tl Gemini, that has never actually left the Beccles yard, but was loaned back to them by Scania as cover while the other Scanias were being converted and painted. So in effect they have two new deckers!. So this morning I went over there to take a look. The Gemini will be mainly used on school journeys, as the Presidents are beginning to show their age and are needing extra maintenance. 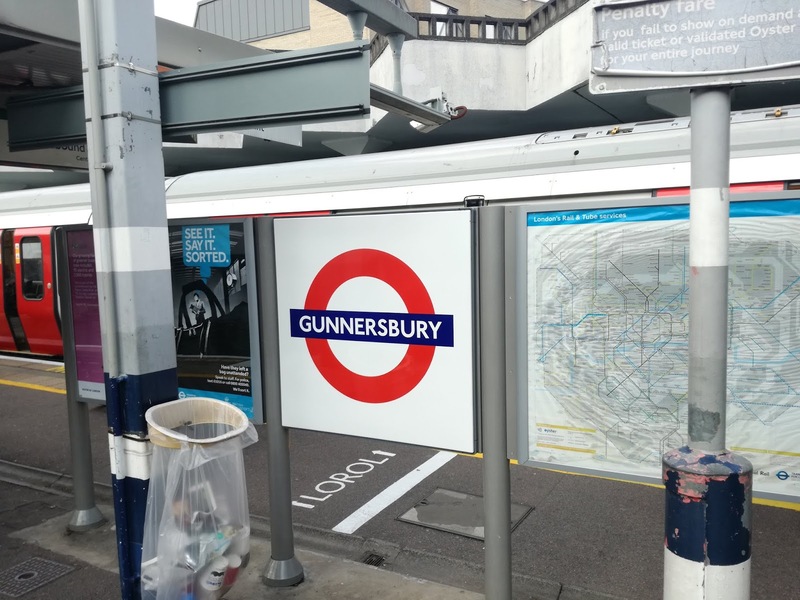 My thanks to Dave Marshall for the heads up, and particularly Borderbus' genial Geordie Dave Laverick for positioning the buses for me, co-ordinating screens and just being an all round decent bloke. One other piece of local news is that Chris Speed, already Head of Operations at First Eastern Counties has added Head of Engineering to his portfolio. Congratulations, Chris, I expect all rattles to vanish overnight, and I'm looking forward to our planned meeting in a couple of weeks. 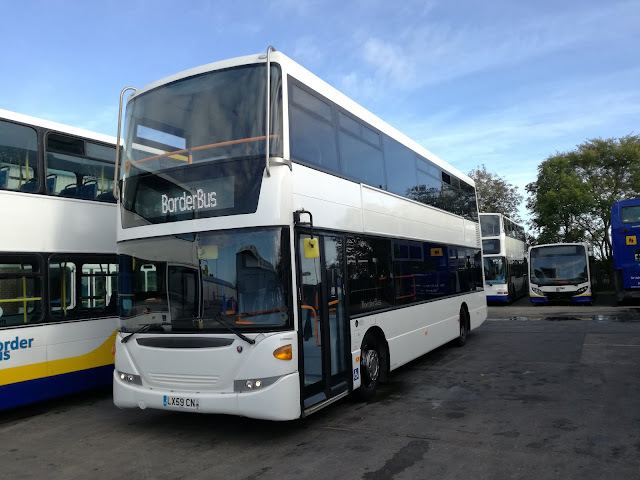 I was at Borderbus the other day to get the picture of their on loan Scania, and was chewing the cud with one of their number about the dearth of recent bus posts on this blog. Maybe the following post will explain it a bit. Good News! If you live in Harrogate as Transdev have this week launched their new fleet of fully electric buses. 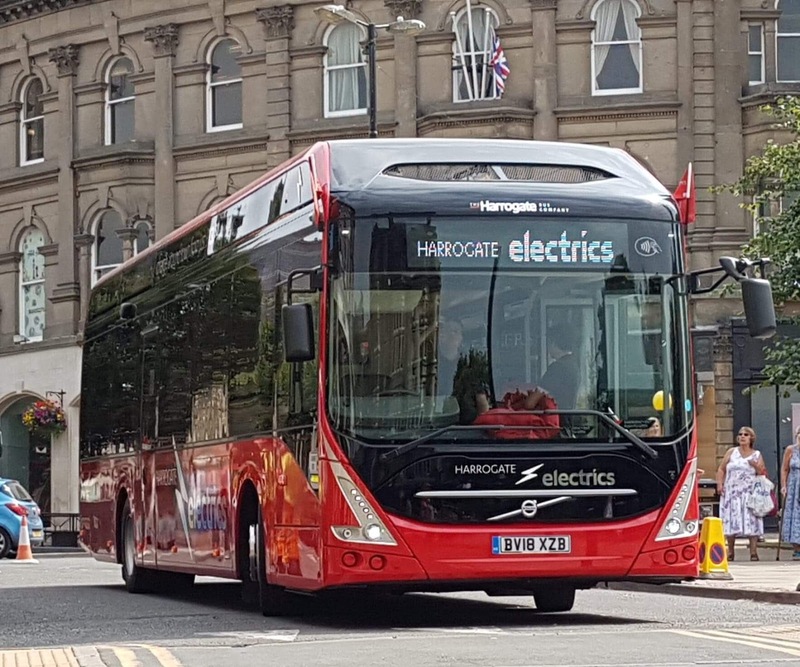 8 Volvo electric buses have been acquired for the town, and, as this picture posted on Twitter by Transdev CEO Alex Hornby shows, they look pretty decent. Good News! If you live in Belfast. The new Glider system is in operation. 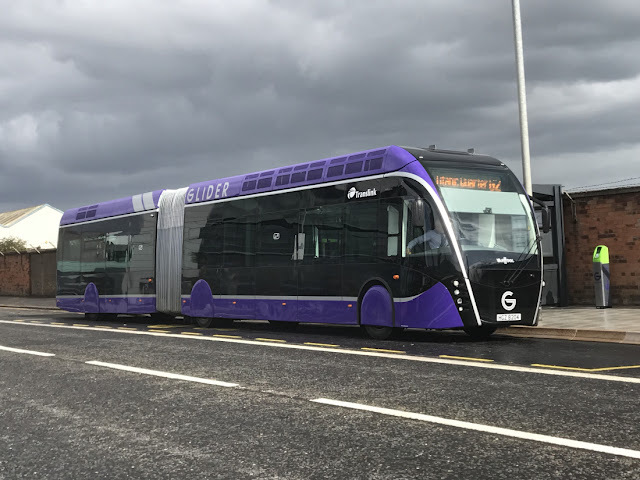 To all intents and purposes a tram on tyres with a steering wheel, as the driver is isolated from the passengers who self operate the 3 sets of doors, the new service started on 2 routes, and that all round decent chap Roger French went over to sample them. You can read his excellent report here. The following photo is Roger's. Good News! If you live in Liverpool. 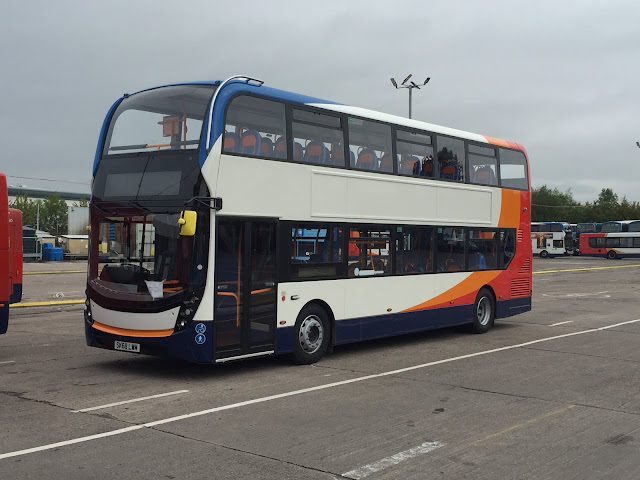 The 100th new double decker for the City has arrived. Rob Jones, MD of Stagecoach Merseyside and South Lancashire posted this picture on Twitter of the new arrival, and ADL E400MMC. Good News! If you live in Surrey. A new multi-operator ticket has been launched. The Acorn ticket, which covers an area of North Surrey and Berkshire including places such as Windsor, Heathrow, Kingston, Woking and Epsom costs £7 a day or £30 a week and is valid on the services of 12 different operators, although not on any TfL services. 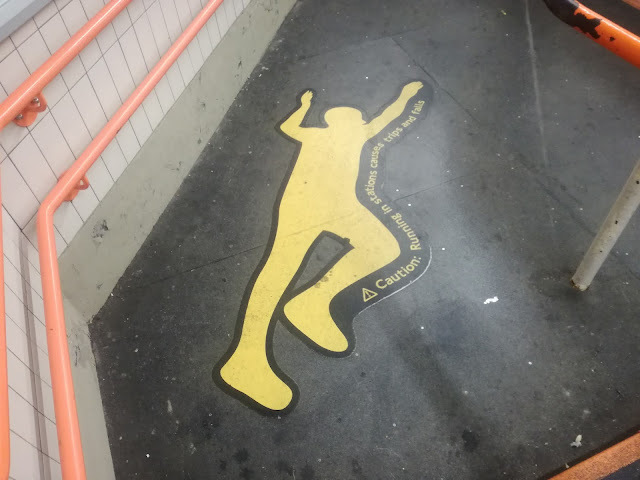 This is an initiative from Surrey County Council. I'd love to think other councils are listening but I very much doubt it. Good News! If you live in the North East. Martijn Gilbert has taken up his new post as MD of Go North East. Covering a large part of the North East, reaching as far South as Hull, GNE also includes East Yorkshire Motor Services, and it must be said Go Ahead handle things a whole lot better up there than they do here. With Martijn at the helm things will only get better and better up there, a real bus man and enthusiast who puts passengers and staff first. I wish him well. So what's been going on in East Anglia? 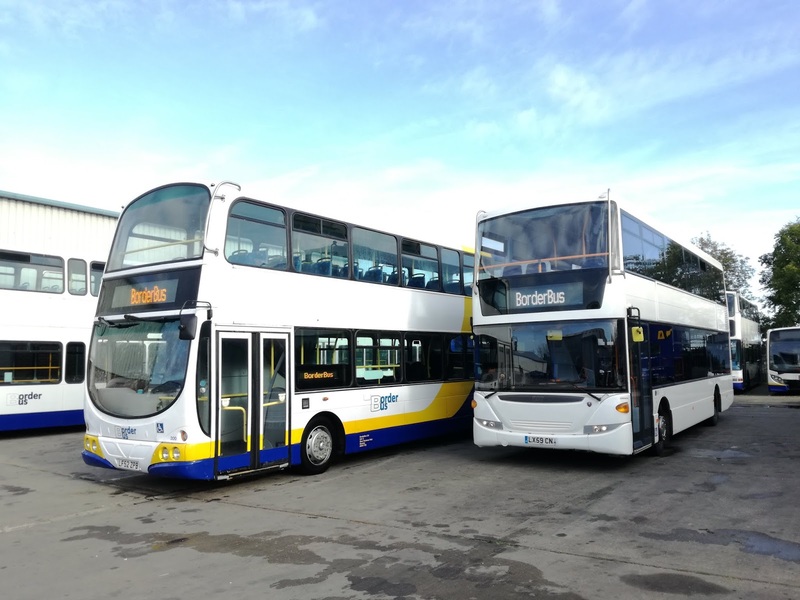 Well two 13yo ex First Scotland B7tl Geminis have transferred from Great Yarmouth to Essex, allowing 2 other 13yo B7tl's, these ones ALX400's to move to Ipswich. 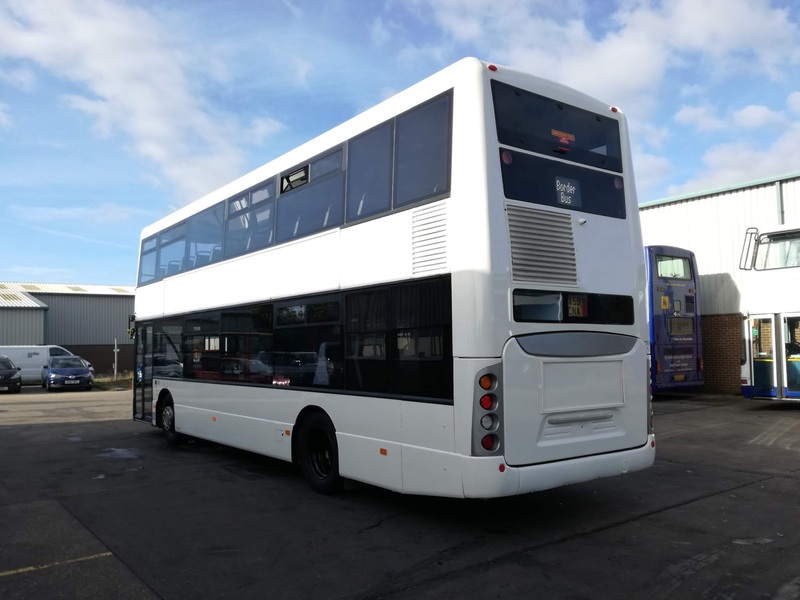 A 16yo B7tl President is getting a lilac front, and there was much hoo-ha on Facebook (apparently) as to where a 6yo ex Leeds Volvo B9 Gemini2 was going to be allocated. If you can contain your excitement I'll tell you it turned out to be Lowestoft. And so to my friends at Borderbus, who are still waiting for the last of their 4 ex London Scania Omni City deckers to be returned. You may recall these Scanias arrived before last year's Lattitude so Scania haven't been exactly frantic to get them done. So while they wait Ensignbus have loaned them this ex Metrobus Scania Omnidecker. 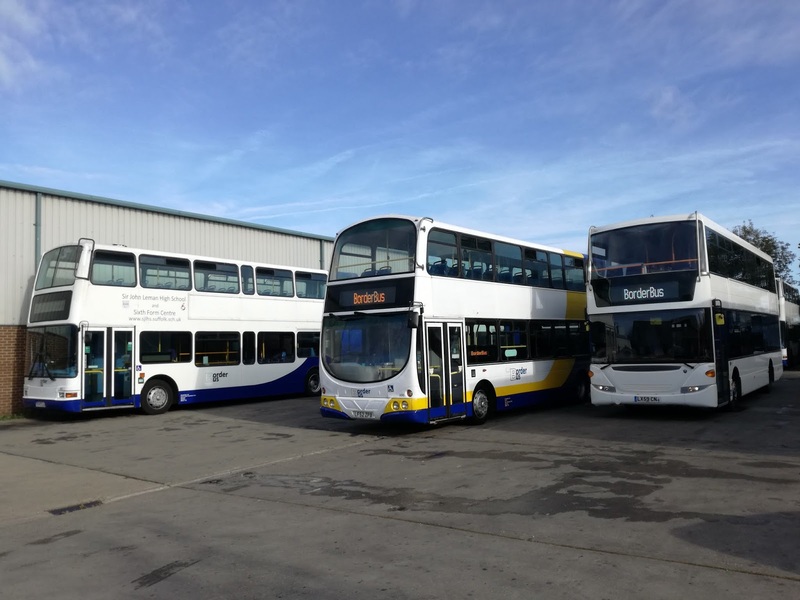 I know this fleet fairly well from my journeys in and around East Grinstead, I have been on RYB more than once, and I have to say, beyond doubt, they are the worst fleet of Scanias I've ever travelled on - real spine jolters! So I was relieved to be told it's only here as a loan! However, I can reveal that when the last of Borderbus' Scanias returns (hopefully this week) it will still have the centre doors intact and operational. 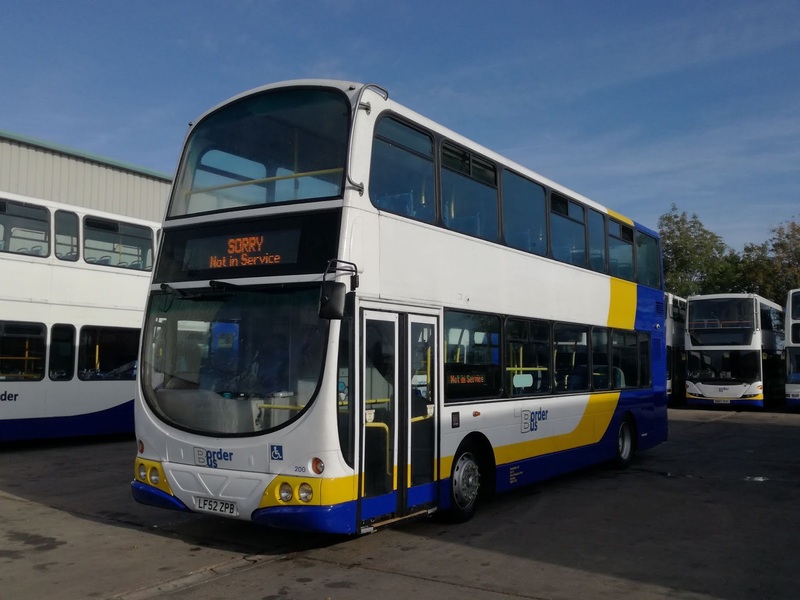 Drivers on the 580 expressed the views that the extra doors helped passenger flow at places like East Norfolk College and Bungay High School and so asked for them to be retained. I'm sure someone will correct me if I'm wrong, but I believe that will be the only bus with operational centre doors in the region - by design, not fluke with a loan or pre-converted bus. And that's it. You can now, I hope, see why bus posts are few and far between. At least when Anglian was at their prime, or the Ollies still around there was always something to be written. Now I have to travel further and further outside the area to find anything, and that is a luxury I can't do that often. As and when anything happens (keeping an ear on the Galloway situation, plus other possible developments) I will, of course report it. Cheers. £1.50 - That'll Do Nicely! This is going to sound a bit like one of those old Yorkshire comedy sketches - aye, we could go down t'pub on t'Friday night, have 16 pints, go and see a film, get fish & chips on t'way home and still have change from a ten bob note! But I'll ask you anyway - what can you get for £1.50 these days? Less than half a pint, especially in a country pub, a very small portion of chips, and certainly not a movie. In transport terms equally little. You'll be charged more than that before the wheels of a taxi have started moving, if you're very lucky a couple of stops on a bus, and train? Well a single from my local station, Darsham, to the next stop, Saxmundham, which is hardly a long way, will set you back £4.50 which in my view is extortionate and does nothing to encourage local public transport use - it would cost around 50p in petrol in a car. But go to London and things are very different. 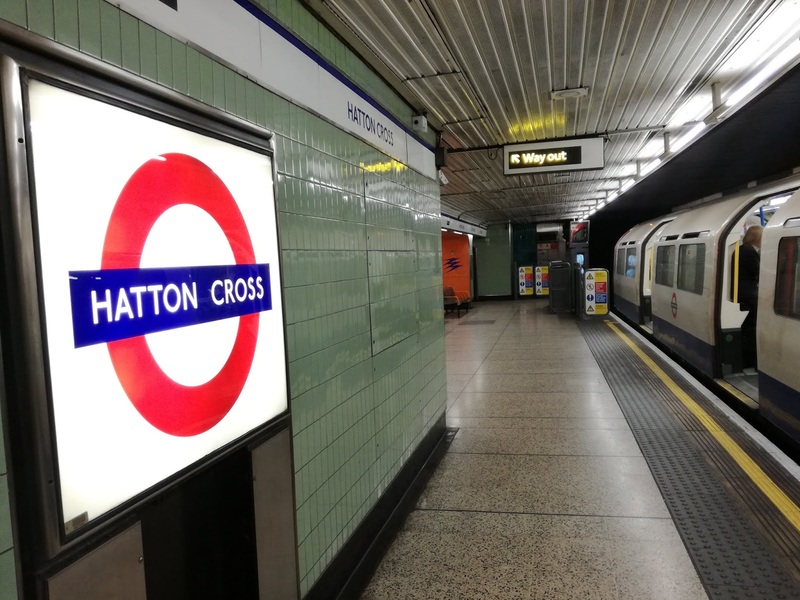 If you have an Oyster card, or a Contactless credit/debit card travel can be very cheap if you allow a bit more time and don't follow the beaten track through Central London. On Friday I drove to Upminster Station, which is £2.50 to park all day Off Peak - in comparison Norwich is about £8 Off Peak - and set off on an East/West journey for £1.50. 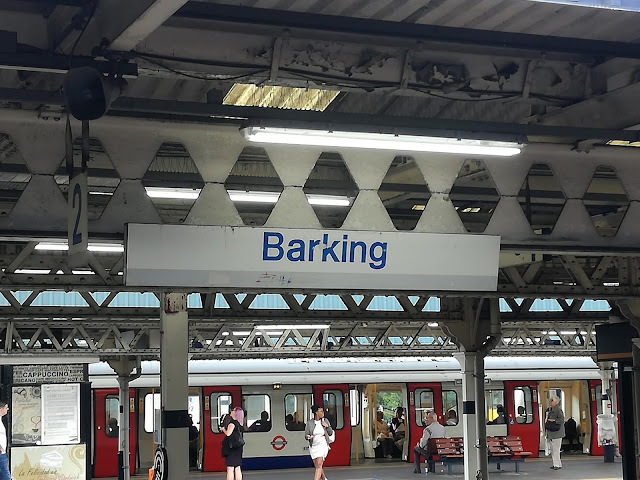 First leg of the journey was on the District Line to Barking, where I changed for my first ever trip on the soon to be electrified Barking - Gospel Oak line. 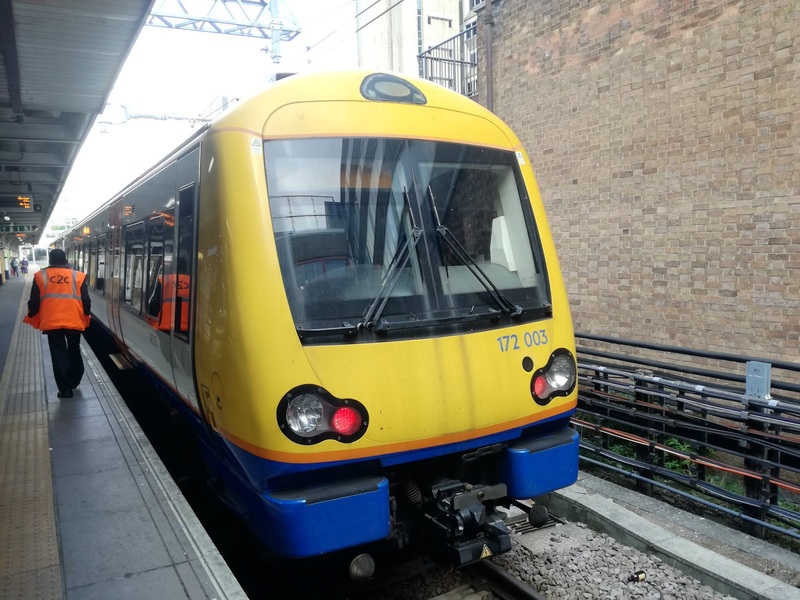 For now, the line is operated by 2 car class 172 diesels, which I fully expected to be like a 170 or 171. Not so, as the 172's have 4 speed boxes that makes them sound similar to buses. 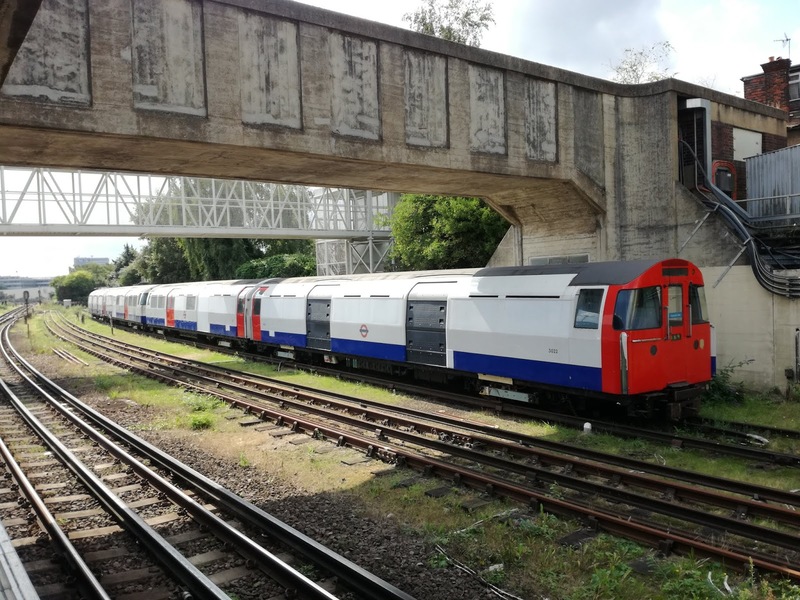 Have to say I like them, and wonder where they will end up after the line goes electric. 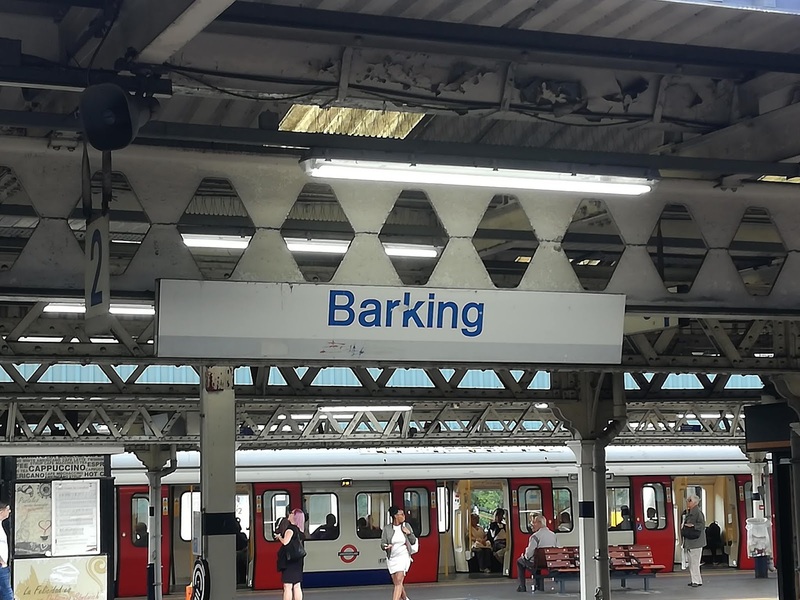 It's an interesting journey through North London to Gospel Oak, which is where my next change was. A word of advice. 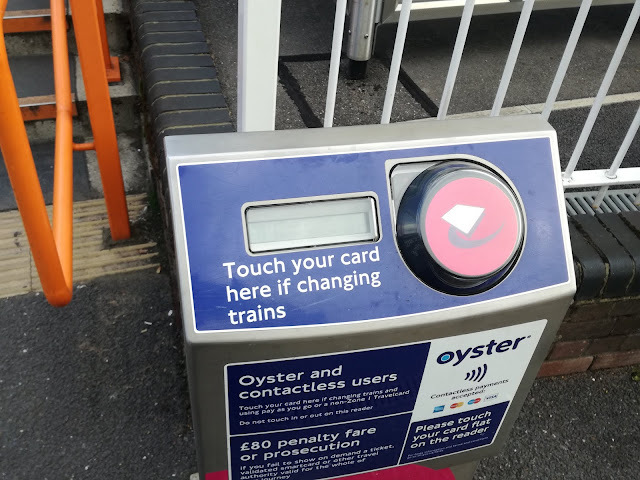 If you are avoiding Zone 1 to get a cheap fare, you need to let the computer know, so at various interchange stations, like Gospel Oak, you will see pink Oyster card readers. You must scan your card on these to prove you have taken the longer route so you will be charged the correct fare. 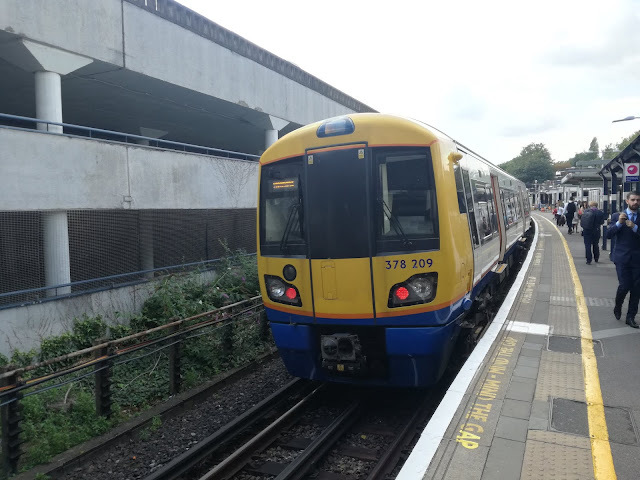 A very quick connection onto a class 378 London Overground Electrostar to Gunnersbury, which is on the Richmond branch of the District Line. 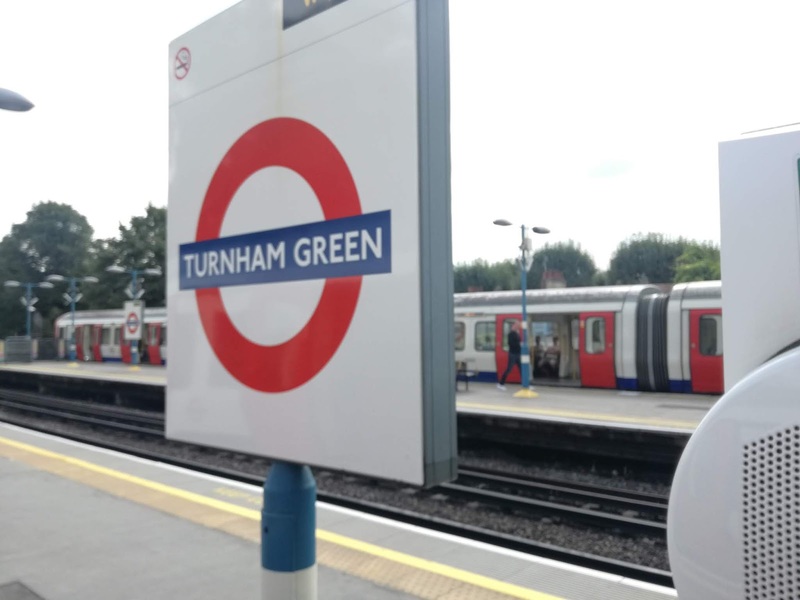 Another pink card reader, then one stop on the District Line to Turnham Green, where you can watch Piccadilly Line trains running fast through. That they don't stop there meant another one stop journey from Turnham Green to Acton Town, for my final change. 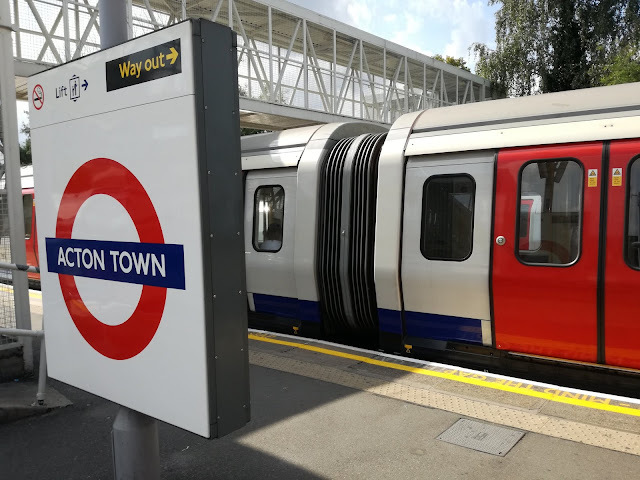 And it was onto the Piccadilly Line I went for the final leg of my journey. I've recently joined Big Jet TV who broadcast live from airports round the country, and I fancied a spot of plane watching myself. So my journey ended at Hatton Cross, on the Heathrow perimeter. 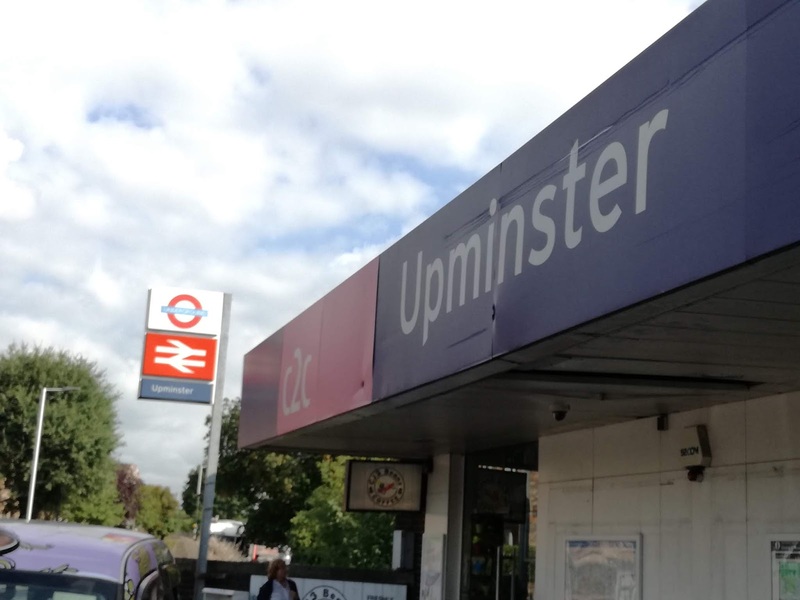 As the crow flies Upminster to Hatton Cross is around 50 miles. If you drive via the M25, which in theory should be the quickest way it's 63 miles. You'd be lucky to do it in 90 mins by car. I did that journey in 110 minutes, and it cost me £1.50! That is very cheap. Even peak time that journey would only cost £2.80. Had I gone through Central London the journey would have cost £5.10 Peak and £3.10 Off Peak. Note though - pay by cash and it's £6 regardless of which way you go. The best thing is you don't even have to be a travel nerd like me to find out the cheap ways. The TfL Single Fare Finder gives you all the alternatives - there were 3 different ways I could have gone for £1.50 and they were all listed, including where you had to use the pink readers. That is quite laudable, and National Rail, who are famous for hiding the cheapest fares should take a leaf out of TfL's book. 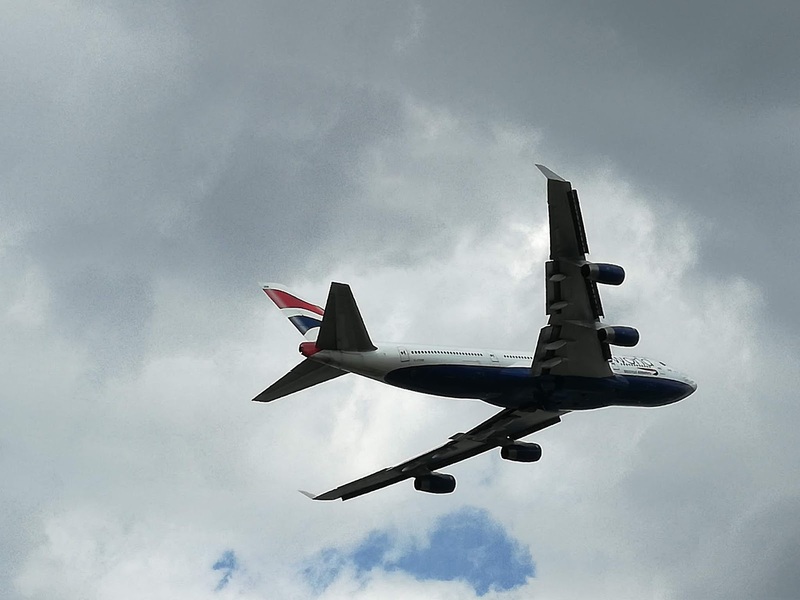 The idea was to spend an hour or so watching the planes, then travel into Heathrow itself to do all sorts of things. However, that didn't quite work out as I got talking to a young plane enthusiast on the popular plane spotting site at Myrtle Avenue,, who had his heart set on being a pilot (despite his rather demanding parents calling them "glorified bus drivers") and answered mine, and others questions so well I ended up staying there for over 4 hours, filming and talking transport. I also learned a lot about modern jets. 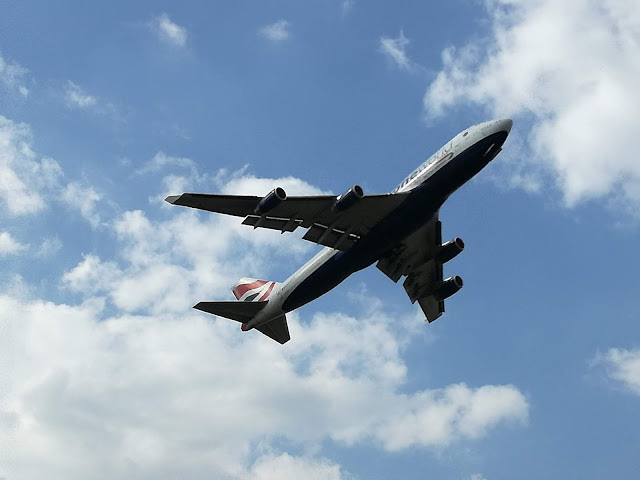 The last time I went serious plane spotting there were still Boeing 707's Dc10's and BAC 1-11's in regular service. I have some catching up to do. However, one thing that hasn't changed is the presence and majesty of the Boeing 747. Dubbed Queen of the skies, it still has you looking in awe, wondering how the darn thing gets off the ground. They'll still be around for a bit, thankfully. 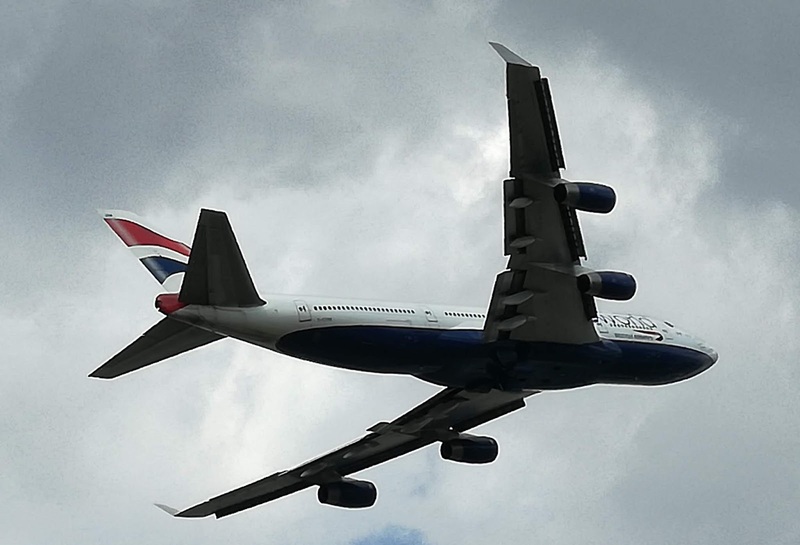 It's strange that the wider, though slightly shorter Airbus A380 just hasn't got the same aura as the 747. 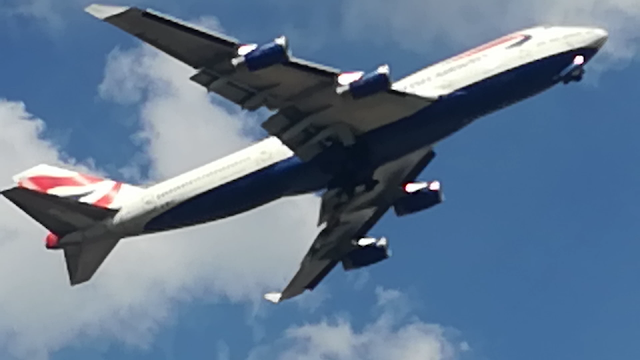 No one can seem to put their finger on exactly why it is, but everyone I spoke to was in agreement - the 747 is still the chief head turner in the skies today. 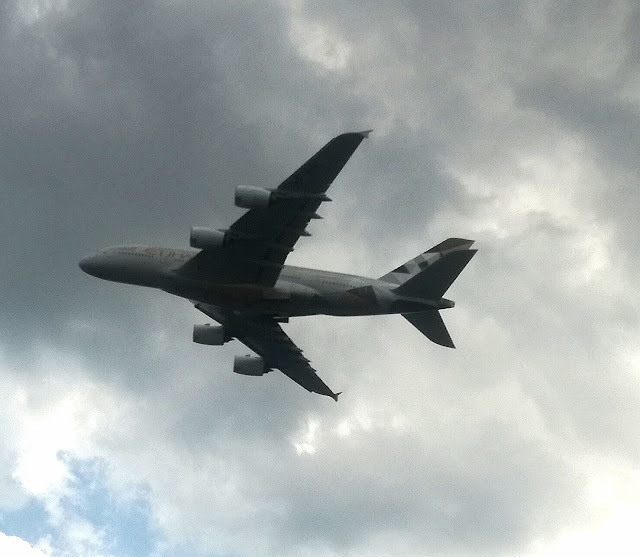 Here's an A380 pictured over Hatton Cross station. By this time my phone was running very low on battery, so a sudden change of plan saw me catch an X26 to Croydon, purely because the B9's on the route have USB chargers. It's rapidly becoming one of my favourite routes, even if the traffic was pretty sticky at times. The bus was full to bursting when we left Kingston, but the air chill worked surprisingly well, and quiet with it, and the bus never got uncomfortable. 2 hours later, a full battery and I was in Croydon, now with an appetite to satisfy, that had seen no food all day. One Chinese buffet later and it was time to start the journey back to Upminster. 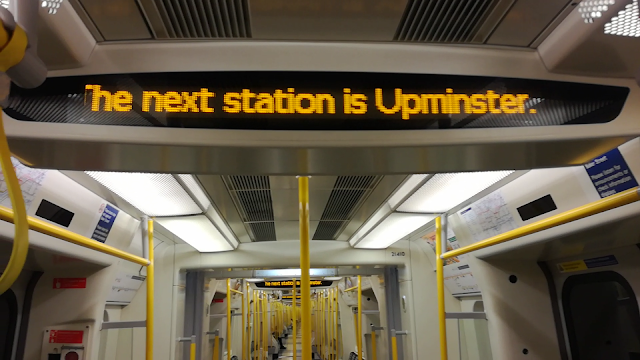 Hands up how many of you automatically think East Croydon to Victoria or Blackfriars then District Line? I wouldn't - that will cost you £5.50, even Off Peak! 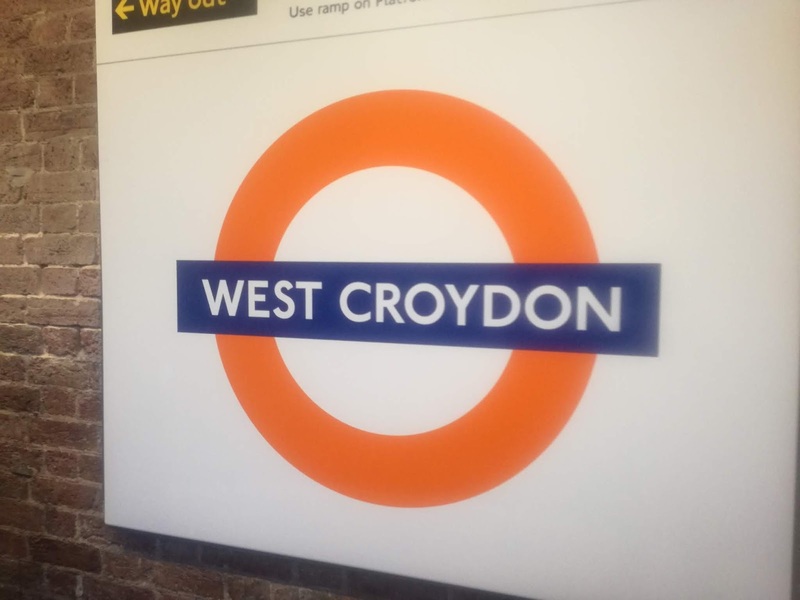 Best to stroll to West Croydon Station, and catch the Overground to Whitechapel. However mind yourself - seems a rather dangerous place!